Look What's New! April 2019 on StampNewsNow.com! Stamp releases for April include: Marvin Gaye, Post Office Murals (5 designs) and "Little Mo"..
Click for April stamp releases and future stamp releases! The Herman Herst Library — Add them to Your Libary While You Can! Most OUT OF PRINT, Limitied Quantities Available! 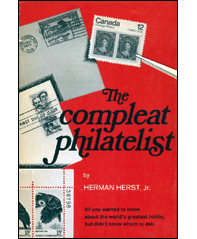 Seven books by “the Ambassador of Philately, from the late “Pat” Herst’s most famous work, “Nassau Street” to the most recent, published by his son, takes us back to when stamp collecting emerged as the most popular hobby in the world—and continues today as one of the world’s most enduring hobbies. Click here for a description of each of the 7 books and how to place your order! Stamp Auction Calendar and Stamp Show Calendar - Updated on April 2, 2019! First Day Covers (FDC) Ordering Calendar - Updated on April 2, 2019! Check out our updated page and the digital color pictorial cancels added to the FDC Ordering page! Click to order the following first day covers: Hearts Blossom, Year of the Boar, Joshua Tree, Bethesda Fountain, California Dogface, U. S. Flag, Gregory Hines, Cactus Flowers , Alabama Statehood and Star Ribbon. If you are interested in the Hearts Blossom — the deadline is May 10, 2019. Look What's New! March 2019 on StampNewsNow.com! 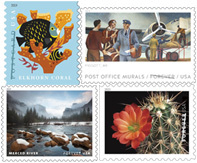 Stamp releases for March include: the Star Ribbon forever stamp and the Coral Reefs postcard rate stamps. Click for March stamp releases and future stamp releases! Look What's New! February 2019 on StampNewsNow.com! 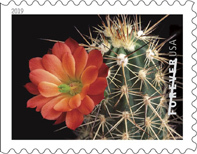 Stamp releases for February include: Cactus Flower Forever stamps (10 designs) and the Alabama Statehood Forever stamp. Click for February 2019 stamp releases and future stamp releases! 3 Month Offer Extended through March! Three Months for $3.00 Get Acquainted Offer! U. S. Stamp News Magazine Online . 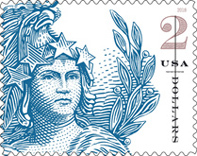 . . U. S. Stamps: News, Commentaries, and Articles! With U.S. 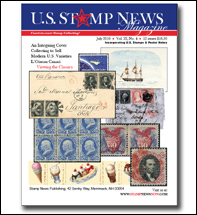 Stamp News Magazine you get full coverage of U.S. philately, from stampless covers to modern First Day Covers and Classic U. S. Stamps to Modern U. S. Stamp Varieties. Call today, Toll Free at (603) 424-7556 and take advantage of this 3 month trial offer for $3.00 to U. S. Stamp News Magazine Online or send your email to jd@stampnewsnow.com. U. S. Stamps from yesteryear to today! Look What's New! January 2019 on StampNewsNow.com! Stamp releases for January include: Hearts Blossom Forever stamp, Year of the Boar Forever stamp, Uncle Sam's Hat Additional Ounce (15¢) Rate stamp, US Flag (55¢) Forever Rate stamp, California Dogface non-machineable Butterfly stamp, Joshua Tree $7.35 Priority Mail stamp (shown on left), Bethesda Fountain $25.50 Express Mail stamp, and Gregory Hines Forever stamp. Click for January 2019 stamp releases and future stamp releases! Look What's New! December 2018 on StampNewsNow.com! The 2019 USPS New Stamp Issues Preview! So far the USPS has announced 20 stamps for 2019. Here's the list with a little something for everyone to enjoy: Coral Reefs postcard stamps, Post Office Mural forever stamps, Wild and Scenic Rivers forever stamps, Cactus Flower forever stamps (previous are show left), Hearts Blossom forever stamp, Year of the Boar forever stamp, Gregory Hines forever stamp, Alabama Statehood forever stamp, Marvin Gaye forever stamp, USS Missouri forever stamp, US Flag forever stamp, Walt Whitman three ounce stamp, Frog forever stamps, State and County Fairs forever stamps, Woodstock forever stamp, Winter Berries forever stamps, Joshua Tree priority mail stamp, Bethesda Fountain priority mail express stamp, California Dogface non-machineable Butterfly stamp and US Flag stamp envelope. 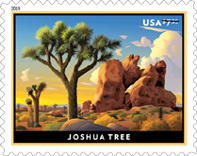 Click for: 2019 USPS Stamp Preview! Click for: 2019 Program from the Publisher's Desk! Look What's New! November 2018 on StampNewsNow.com! On October 24 Canada Post issued a single stamp in a sheetlet and booklet pane to commemorate the 100th anniversary of the end of World War I. After more than four years of bitter struggle, the fighting in the First World War came to an end at “the eleventh hour of the eleventh day of the eleventh month” of 1918. This stamp celebrates the silencing of the guns and commemorates . . .
Continue reading "Canada Post Remembers Its Heroes"
Look What's New! October 2018 on StampNewsNow.com! 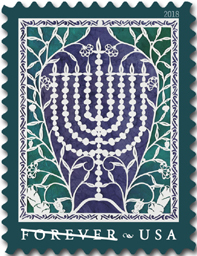 Stamp releases for October include: Madonna and Child, Kwanzaa, Sparkling Santa Souvenir Sheet, Sparkling Santa, and Hanukkah. Click for October stamp releases and more! Look What's New! September 2018 on StampNewsNow.com! 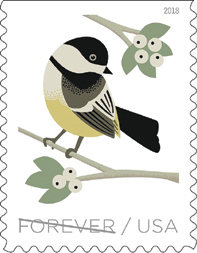 Stamp releases for September include: John Lennon, Honoring First Responders, Hot Wheels, and Birds in Winter. Click for September stamp releases and more! New Price List. Collect Used United States stamps starting for as little as 10¢ each. Join the many stamp collectors and stamp dealers who subscribe, advertise or collect stamps with Stamp News Publishing! 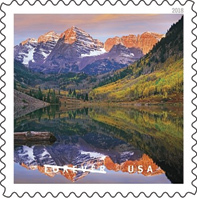 We offer a wealth of information on both U. S. and Worldwide Stamps. Check out our magazine offerings or browse our website to see our varied and indepth information on all things philatelic! The latest issue of The American Revenuer—the journal of the American Revenue Assocation (ARA)—carries remarkable news of four Revenue Stamps (Scott REA184-87) that were snapped up on eBay at the Buy It Now price of $1,000. “Anonymous”—possibly the buyer(? )—reported that “…experienced revenue stamp dealers charge up to $2,000, depending on condition” for the Hogshead stamp (Scott REA187). Even more significant, shown here, the 1/3 Barrel (Sc. REA184) is the only known unused example and that the Scott value for a used example is $35,000 (the most recent realization being $12,000 in 2017 for one of the two known examples). From this we can draw the inference that an eBay Buy It Now offer is not a well-publicized auction for specialized items such as this. (The auction was started at $9.99, but the Buy It Now offer pre-empted it!) Also that the buyer was much more knowledgeable than the seller of this lot. To learn more about Revenue stamps, we refer you to the ARA website, www.revenuer.org. Look What's New! August 2018 on StampNewsNow.com! 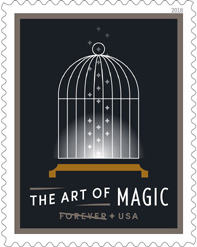 Stamp releases for August include: The Art of Magic (4 stamp designs), Dragons (4 stamp designs), U. S. Airmail P.O.D. Service Stamp and Global Poinsettia. Click for August stamp releases and more! Look What's New! July 2018 on StampNewsNow.com! Stamp releases for July include: O Beautiful (20 stamp designs), Scooby-Doo, and World War 1: Turning the Tide. Click for July stamp releases and more! Look What's New! June 2018 on StampNewsNow.com! Click for June stamp releases and more! Look What's New! May 2018 on StampNewsNow.com! Call today for a display ad, a press release and sample magazines for distribution at your show. 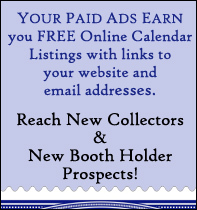 Your paid ads also earn you free Stamp Show Calendar Listings with links to your website and email addresses. You will Reach New Collectors & New Booth Holder Prospects! Recent acquisitions—Mint and Used Singles, Mint Plate Blocks, the Unusual and Affordable, and just plain Fun. 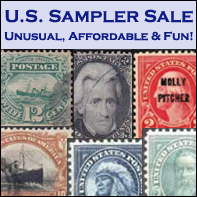 Click for The U.S. Sampler Sale! 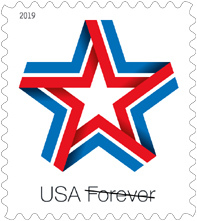 The airmail stamp being issued on May 1 in Washington, D.C., to commemorate the 100th anniversary of the beginning of regular airmail service will be the first of two identical design stamps to be issued this year. This first stamp in blue commemorates the pioneering spirit of the brave Army pilots who initiated the . . .
Continue reading U.S. Airmail Army Pilots Stamp! 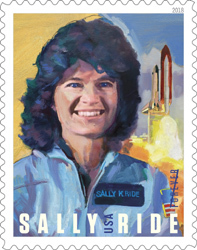 America’s first woman in space, Dr. Sally Ride was a member of the crew of Space Shuttle Challenger STS-7 in 1984. She inspired the nation as a pioneering astronaut, brilliant physicist, and dedicated educator, and was awarded the . . .
Look What's New! April 2018 on StampNewsNow.com! 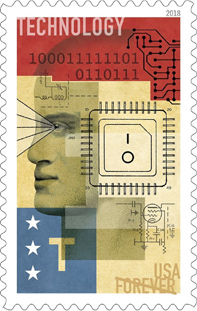 These stamps celebrate the role of science, technology, engineering, and mathematics (STEM) education in keeping the United States a global leader in innovation and providing new opportunities for all Americans to learn and explore the world. Each of the four stamps features a . . .
Continue reading about the STEM Education stamps! Peace Rose celebrates one of the most popular roses of all time. The peace rose revolutionized. . .
Continue reading about the Peace Rose stamp!